I have used Aaron's service at home and in our dental office. His work is great. He definitely knows his stuff and is very good at responding to your needs. He is trustworthy also which is so important when giving your computer over for repairs. He always calls back the same day and is always on time for appointments. I would highly recommend him for any of your computer needs. Told me he would be passing it on to those who wanted Apple repair in the Asheville area. I want to thank you for your help and your honesty. The tech at Apple confirmed your diagnosis. 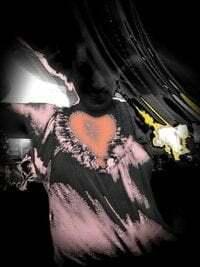 I was able to answer in the affirmative all the questions about what you had done. I also told him how you checked to see I had Apple care and advised me to have Apple do the repair rather than take advantage of me for $600. He told me CityMac would have taken advantage of me. He was so impressed that he took the information about your business and told me he would be passing it on to those who wanted Apple repair in the Asheville area. We are SO happy to have found Aaron, and will be calling on him whenever we need computer help. He's prompt, professional, and his fees are reasonable, especially considering the fact that he picks up and delivers! I highly recommend! A wonderful asset to have in South Asheville. Friendly staff, great work, great price, and very quick! Very pleased! Friendly staff, great work, great price, and very quick! Would do business with them again any day! Aaron was very responsive to my service need and followed up promptly when I left him a voicemail. He directly came to my house to pick up my laptop for a hard disk data transfer job and got it done quickly. I didn't have to go looking for a service shop and he works on weekends too, which was helpful in my case. I was also able to get the service done for a very reasonable price when I enquired about the charge. Aaron was very responsive to my service need and followed up promptly when I left him a voicemail. He directly came to my house to pick up my laptop for a hard disk data transfer job and got it done quickly. I didn't have to go looking for a service shop and he works on weekends too, which was helpful in my case. I was also able to get the service done for a very reasonable price when I enquired about the charge. Thank you Aaron! They were very professional and confident that all was not lost. It contained financial data and documents that I desperately needed to recover. I dropped off my desktop computer that wouldn't boot. It contained financial data and documents that I desperately needed to recover. They quickly and confidently diagnosed the problem and went over my options. They quoted a reasonable price to get it running again and I picked it up the next day! I would highly recommend Asheville Computer Company! I've used Aaron for my computer needs for several years and I've recommended him to family and friends. He's responsive, pleasant and he gets the job done in a reasonable time and at a reasonable price. I'm happy that I have a go-to guy that I trust for all of my computer needs. I found Aaron on a Google search and I am thrilled. He was extremely helpful and did an excellent and efficient job. The repairs were done in a timely manner and also very reasonable. I will definitely be seeing Aaron again as well as recommending him to my friends. Aaron actually came out on short notice on a Sunday evening to help us with our computer issues. He arrived on time, he was patient and professional and he was a very good teacher. We will not hesitate to use Aaron in the future. He saved me hundreds of dollars! I originally took my mac to the apple store and I was told that there was nothing that I could do but to recover the data and get a new laptop. I took it Aaron and he was able to turn it on and get it to work; he saved me hundreds of dollars! We gave the laptop because it was very slow. It was returned by Aaron at the time that was set and it works now much faster. The service including the response time from the phone call was excellent. My 7 yr old mac was running slow and I think about to die. Asheville Computer Company upgraded it and got it back to me fast. I haven't seen the spinning rainbow of death once! So happy... btw writing this review on the said Mac. I didn't want to hand over my laptop to one of the big chains for repair, so I searched online for someone local. I found Aaron and I'm glad I did. He was helpful, courteous, convenient and affordable. He replaced my keyboard and laptop cover quickly and even cleaned out the inside grime/dust. I'm very pleased with the results. I've already given his card to a friend and I'd gladly recommend him to anyone. Excellent service, highly recommend!!! The BEST. Aaron sorted out a mess on my iMac that appeared as a result of downloading Chrome and failing to do other things correctly.. He was able to come to the house rather quickly and worked on the machine intently until all the flaws were removed and everything was working perfectly. Pleasant fellow, highly skilled, efficient. Very fair charges. I couldn't ask for more. My 2010 MacBook Pro was starting to show its age before I took it to Aaron at the Asheville Computer Co. Knowing that I needed the computer for work over the weekend, Aaron replaced my HDD with a SSD, upgraded my RAM, and cleaned my laptop in under 24 hours. Fast, reliable, and dependable - a fantastic representative of our local talent. Knowledgeable, honest, and a joy to work with. I'll definitely call The Asheville Computer Co again. My 2010 MacBook Pro was starting to show its age before I took it to Aaron at the Asheville Computer Co. Knowing that I needed the computer for work over the weekend, Aaron replaced my HDD with a SSD, upgraded my RAM, and cleaned my laptop in under 24 hours. Fast, reliable, and dependable - a fantastic representative of our local talent. Knowledgeable, honest, and a joy to work with. I'll definitely call The Asheville Computer Co again. So glad I was referred to them. Aaron is the best!! Need to see what was going on with my moms computer and Aaron made it super easy. Will definitely be using this company again and again for any computer needs!!! Kind, knowledgeable and user friendly are the words that come to mind this afternoon regarding the service "Aaron Helps You" provides me. I've used Aaron's computer repair and learning services since December of 2010. He's know as the "rescuer" among my family and many of my business associates. Much of my Consulting business is done from my home computer, when it's down I'm OUT and desperate. Aaron is timely and responds to my text or phone calls with encouraging words in my time of need. If your looking for a trust worthy partner to keep your computer up and running smoothly, Aaron's the right man for the job. Those thousands of photos represent 13 years of photography. The hard drive on my wife's iMac suddenly failed. Since she's a photographer, it meant she could have lost thousands of photos. While the hard drive was backed up - it wasn't local - which meant an extremely slow, drawn out data transfer to a new hard drive. Luckily, Aaron was able to retrieve the contents of the hard drive and transfer it over to a new SSD. He explained that this would be an example of needing two backups - local and non-local. Those thousands of photos represent 13 years of photography. Thank you, Aaron, for helping us avoid a major crisis with your outstanding computer service! Our desktop froze up and we couldn't get it to work. Malwarebytes and cc cleaner didn't phase it. Aaron came and picked it up. Fixed it and brought it back. It took more time than he had estimated because of all the USB devices we had attached. He didn't ask for more money even though I asked him. We paid him more because his price was really low and he did such a great job. The computer has been working without any problem for 2 months now so we know he did a great job!!! 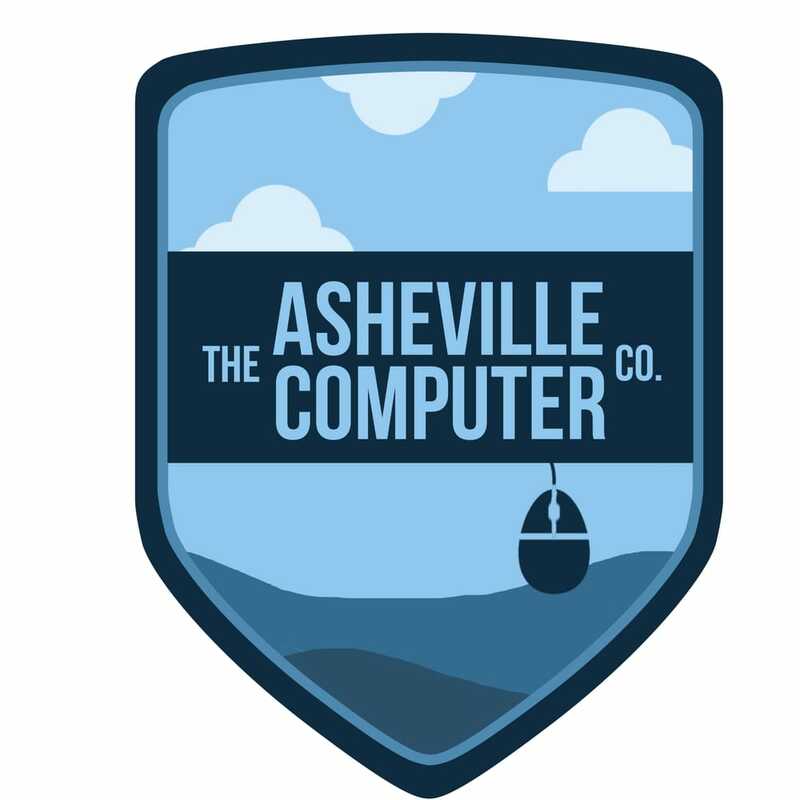 After reading reviews about Asheville Computer Company, I decided I would give it a shot. Like many others who have left a review, I also had a MacBook issue. My MacBook would start up and after several minutes of waiting for my computer to load programs - it would decide to power down. Frustration settled in, so I took it to Aaron at Asheville Computer Company. I was immediately relieved after talking with him. Aaron displayed genuine concern when I was telling him my problems. His technical knowledge and support provided me with immediate relief that my computer problem was repairable. He kept my computer for a little less than two days (turned it in on Saturday), and it was available for pick up on Monday. My computer is 1,000,000 x faster and no longer sluggish upon start up. It's quick, efficient and like brand new. I appreciate the hardwork Aaron has put in to my computer. You can tell he's extremely prompt and efficient at what he does. If you have computer problems and time is of the essence, you can rest assure Aaron has you in his best interest. Thanks Aaron! Aaron responded quickly to my wife's call for help. He diagnosed the problem as a failed hard drive. He replaced it with a solid state hard drive and transferred all her data from her old hard drive. He did this at a very reasonable price and in a very reasonable time frame. This allowed my wife to continue to use the keyboard that she knew while she finished her graduate degree. Aaron is now our go-to guy for computer issues. I don’t know what I would do without Aaron and his crew! Asheville Computer company helps me with every computer problem I have I don't know what I would do without Aaron and his crew! They solved all of the issues with my Mac. Give us a stop by, call, e-mail or text with your issue. We will give you an estimate and determine whether it would be better to pick-up or fix the issue on-site. We will use our years of experience and troubleshooting skills for the best fix for your computer issue. We get your device back to you as fast as possible and make sure you are happy.